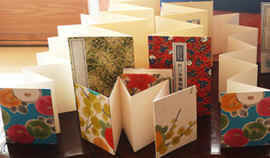 When you visite to Kyoto Japan,Let`s try to make Ohihon books(Japanese old style books). Minami Shiga Otsu-shi Shiga ken 1-11-24. Japan.